Schafer Silvertip TD 60 inch 61#@28 inches AD Nitro Stinger with 160 gr grizzly total arrow weight 620 grains. Congrats Ray, I've been following the thread Looks like you guys had a Blast. 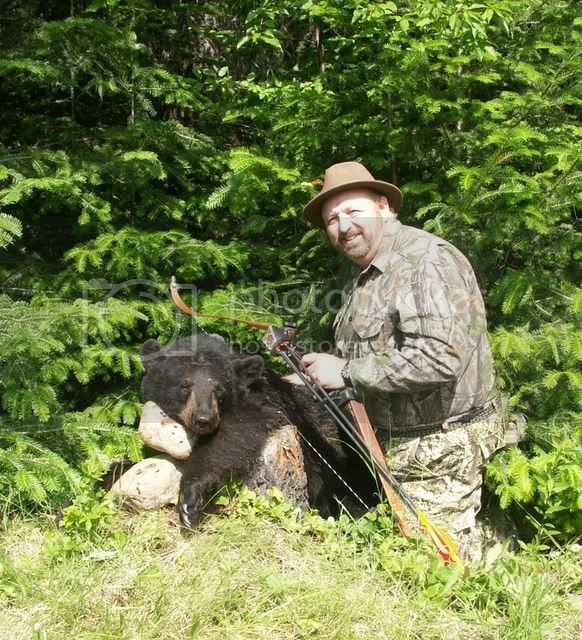 It's been a few years since I've been bear hunting but reading the thread and seeing the pics gives me an urge to go back. Way to go Ray. Loved the stories. Congrats again Ray. Looks like you all had a great time. Congrats again Ray! Great bear and a all around awesome hunt. Great Job Ray. Talked w/ Don (Bowdoc) and the story was a scream-two hours on the phone and we talked about my project 45 seconds. Well done! !